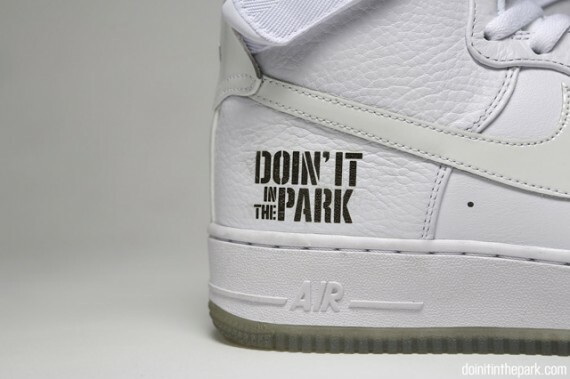 Nike Air Force 1 High "Doin' It In The Park"
If it’s two things that go together like white on rice it’d have to be Bobbito Garcia and the Air Force 1. The Author, Baller and DJ created a series of Air Force 1s around the 25th anniversary of the 82′ classic, and now he’s back with another Joint with some Laser flavor. 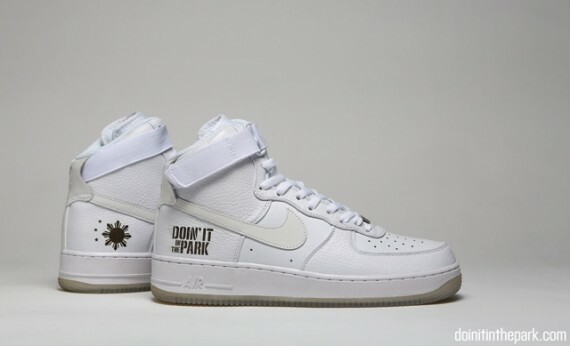 Inspired by his recent Doin it in the Park movie, Bobbito and Nike create an Air Force 1 High featuring smooth and tumbled leather uppers, while “Doin it in the Park” is lasered on the heel. 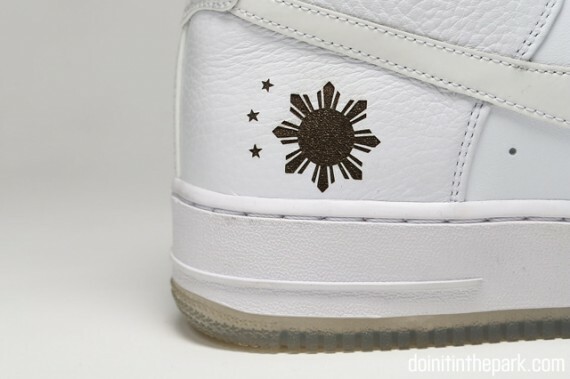 Another extra detail that’s sure to catch anyone’s eye, is the Filipino Sun logo that was pulled from the flag which is also lasered on the heel. Check out the entire shoe and let us know if you’d pick these up!